Home of The Azusa Street Revival of 1906 legacy of Bishop Otis G. Clark and his daughter Dr. Gwyneth and grand-daughter Ambassador Star Williams. The Legacy continues from the Azusa Street Revival of 1906 in Los Angeles, California. Bishop Otis “Dad” Clark was the oldest original member with genuinely exciting first hand accounts from 312 Azusa Street in Los Angeles. He intimately knew founding members including Richard & Ruth Asberry, residents of the Bonnie Brae home, Mother Emma & Henry Cotton and Bishop A.C. Driscoll B, TH, D.D. He was given Power-of-Attorney over the Azusa Street Mission, the place of America’s Greatest revival and the Outpouring of the Holy Spirit. 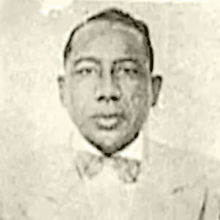 William J. Seymour’s successor bestowed this honor upon a young, and passionate Otis Clark. 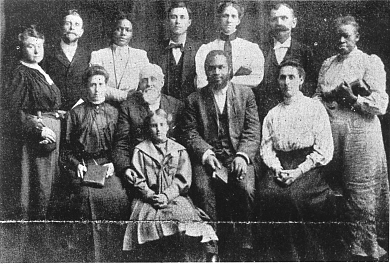 The Azusa Street Revival, beginning in 1906 was pioneered by Seymour, a one-eyed black man the son of slaves, who was instrumental as a catalyst for one of the greatest outpourings of the Holy Ghost since the Biblical Day of Pentecost in the book of Acts. Bishop Otis Clark, also known as the World’s Oldest Traveling Evangelist, spent his entire life telling the world about the Holy Spirit and the Outpouring on Azusa Street. Within his last day on earth, he boldly preached: "You need to be baptized in the Holy Ghost!" Clark is the Father of Dr. Gwyneth and Grand-Father of Ambassador Star. In 2006 he bestowed the honor of Power-of-Attorney upon his Daughter and Grand-Daughter to carry forth the vision and mission of Azusa and the book of Acts. On Azusa Street we became a Book of Acts church. They demonstrated that signs wonders and miracles are for today. Azusa was birthed under holiness, signs, wonders and miracles. The Holiness movement preceded the Azusa Revival. The Baptism of the Holy Spirit with evidence of speaking in tongues was the premise of Azusa; and the gifts of Holy Spirit were prevalent. A woman who had never played the piano received the gift. The principle purpose of Azusa was: "The book of Acts is for today." Speaking in tongues is for today. We are to continue to speak in tongues on a continual basis. Tongues is our power to pray and intercede. Many denominations of the Azusa Street day said tongues was only for the New Testament believers living in the Bible days. Pentecostals were called Holy Rollers, they would shake and quake under the power of God, some would sit still in trances. They taught that speaking in tongues was evidence of the Holy Spirit. The Nazarene church boarded up the doors to Azusa because they didn't believe in speaking in tongues. So they found an old building at 312 Azusa Street, cleaned it up and held meetings. We still need the power of the Holy Spirit to take our nations and cities for Christ. Many of the Pentecostal churches have returned to a religious-performance mentality, screening out the Holy Spirit. God's wanting His church to put some super-on-their-natural. Dad's last words at 109 years: "We need the Baptism of the Holy Spirit...The Church needs the Baptism of the Holy Spirit." The largest spirit-filled Nazarene Church in Colombia asked us for forgiveness for this act more than 100 years ago. The Holy Spirit in the Now. When the Holy Spirit ministers, He heals, He blesses and He gives you everything that you need; because He knew you before the foundations of the earth and has every hair numbered. Holiness movement preceded the Azusa Revival. Today some of the pentecostal denominations are saying that speaking in tongues is not necessary and miracles are not for today anymore; God doesn't have body parts in heaven for miracles. To appease man, they become seeker friendly. They've become concerned about not offending people that they've offend God and grieved the Holy Spirit. We must take our church back and keep the fire of Holy Spirit alive today. Today 1 Billon Believers can trace their Pentecostal roots back to the little house on Bonnie Brae - to a movement that begin with a prayer meeting! As always: I'm excited to see what the Holy Spirit will do in the meetings. "Holy Spirit we reverence your presence. We honor you Holy Spirit"
"This book (the Bible) is not a fairytale."